To see if your machine is compatible with the Kinomap app, please refer to this guide from Kinomap. Register now so that you can enter your time-stamped completed 45km race time for the ATIR Global Erg Challenge any date/time of your choice between November 17th and 28th. This gives you time to organize your team for when it is convenient for all of you, and you are not constricted by time zones. Once you complete the 45km course on the Kinomap app, your time will be logged in as your team’s race time. Your race times, and team avatars, will be displayed on the race course (which you will have a live link to watch), on December 2nd, from 9:00am Hong Kong time, with the actual start of the ATIR coastal rowing race, around Hong Kong Island. Upon registration, you will receive a confirmation email, along with a free one-month activation code for the Kinomap App. Each participant in your team will receive a free login code, but during the race itself, you only need to use one single Kinomap account. Participants will need to log in to the Kinomap App in order to synchronize their Concept2 Erg with the app (only one device needs to synchronize with the erg machine, and other machines that will synchronize with Kinomap include BH Fitness, Gym Connect, iConsole, JNB Sports, Kettler, Pafers, Spirit, SportPlus, Sports Tech, Tai Zhi, V-Max, Water Rower, Xebex and Xterra), for a verified, time-stamped race result. It is possible to submit race times more than once as long as it is before the deadline on November 28th. 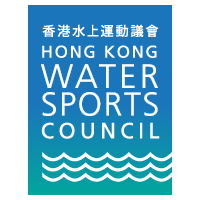 Race results will NOT be posted until December 2nd at (9:00am Hong Kong time), the start of the on-the-water ATIR Coastal Rowing Race, on December 2, 2018, at the finish of the actual coastal rowing race.  Each team will have a special avatar for the race course based on their category, which will be seen “racing” your global competitors who have also submitted race times on the Global Erg Challenge course on KinoMap. Your “virtual” race (which you will have already completed with sweat, excitement and maybe some pain), will start with the starters gun of the on-the-water race, and a special Global Erg Challenge race day video and real-time tracking of avatars will be visible by anyone in the world. You will be able to watch your team’s 45km adventure around Hong Kong Island, from the comfort of your screen, wherever you may be at that time. Race results will be posted once participant avatars have finished the 45km course. All racing will take place on one (1) rowing machine (or adaptive paddle machine) per team, with participants rotating on that machine in order to cover 45km of distance in the fastest time. For more details of the race, please visit: ATIR Global Erg Challenge 2018 or our Facebook Page.